There was no other place I would rather be than in the kitchen, in front of the fridge with its door wide open. 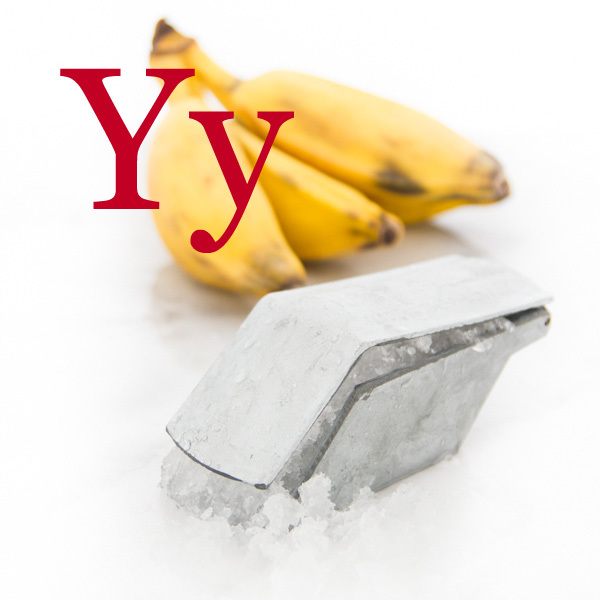 I could stand there all day if I could with yelo [yeh-loh] — with ice — pressed against my forehead, against the back of my neck, against my sun-soaked skin. The heat of that summer so many years ago was like no other. It was hotter than the summer before and the one before that, even hotter than the ones that came after. We had just moved from a small duplex where I was born to a roomier two story where I spent the years before my adolescence. It was the only house my family lived in that had an upstairs and a downstairs. The downstairs remained insulated from the heat while the upstairs fired up like a furnace in the afternoons. We rented the house from a middle-aged man who lived next-door with his three sons. His eldest, Arvin, was his spitting image. He was a year younger than I was, quiet and reserved like me. His brothers were rowdier. The middle one, Jing, loved to play pranks while the youngest, Ryan, cried all the time. Their house was much bigger than ours. It had a tall, pointed roof that loomed large over the block. It had a paved driveway where the brothers played, which I could see from the jalousie windows in my room upstairs. A concrete wall ran between our house and theirs, which was almost as tall as I was but was easy enough to climb over. I cannot remember how exactly I met the three brothers. Jing, the friendliest among them, must have reached out to me. I was painfully timid when I was little. Inept with introductions. I still am, I must admit. But I do remember hitting it off instantly with them. They treated me like one of their own, like their own brother. I spent most of that summer with them. In their cluttered living room we played with Lego blocks and board games until we got stir-crazy. After our noontime siestas, we braved the heat and played in the sun, on the streets. Cops and Robbers. Hide and Seek. What I lacked in agility in Patintero [Pah-tin-teh-roh] I made up for with aptitude in knocking down empty milk cans with my tsinelas [chee-neh-las], my flip-flops, in Tumbang Preso. We played until we wore ourselves out or until Ryan threw a tantrum. 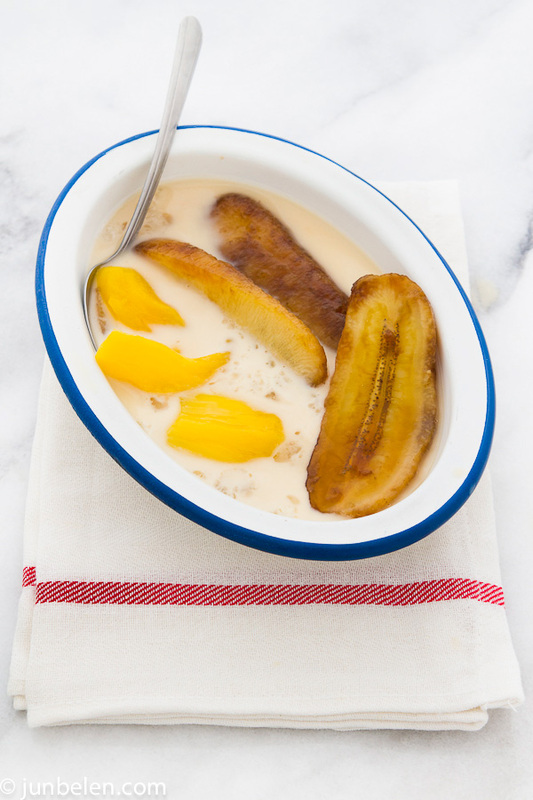 We played until we were ready to cool off with sweet saba bananas in icy milk. Budding friendships. Empty evaporated milk cans and chalk-drawn doodles on the street. I look back to those days with wistful fondness. But the heat? Not so much. Thank heavens for saba con hielo. Tumbang Preso and Patintero are classic Filipino games played on the streets back home. In Tumbang Preso, players take turns throwing a pamato, an object used to throw and hit something, usually the players’ tsinelas, or flip flops. The goal is to knock down an empty tin can, usually a milk can, placed upright at a distance away from the throwing line. One player called the preso, or prisoner, is chosen to guard the can and keep it from getting knocked down. Once the can gets knocked down, the preso must retrieve the can and return it to its upright position before he can tag any of the other players attempting to recover their pamato. The player tagged by the preso replaces him or her and the game starts over. In Patintero, players are divided into teams of runners and taggers. The taggers position themselves along a rectangular grid drawn with chalk on the ground. The goal of the taggers is to block the runners attempting to pass through the grid. The goal of the runners is to pass through the grid from one end to the other and back untagged by the other team. If a runner gets tagged the teams switch places and the game starts over. Stir brown sugar in water in a medium pot over medium to high heat. Add vanilla. Stir until sugar is dissolved. Add saba bananas. Bring to a boil and reduce heat to low. Let the bananas simmer, stirring occasionally, until they are tender but not mushy, about 20 to 25 minutes. 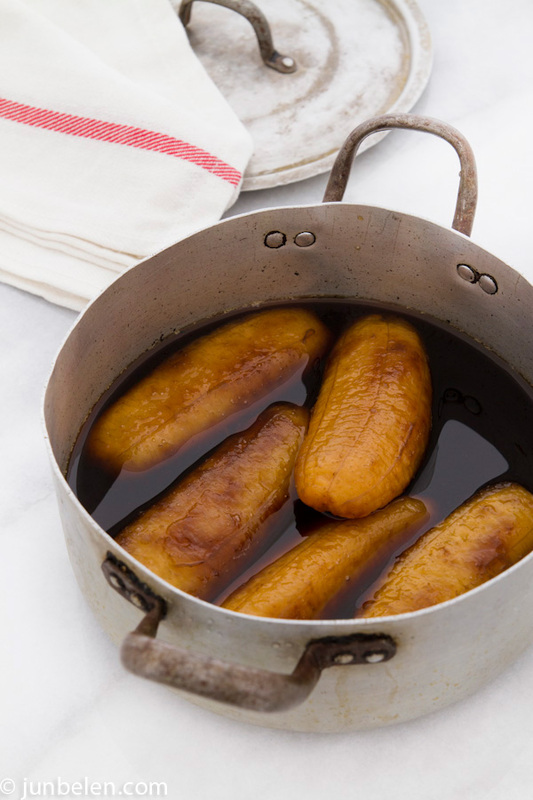 Let bananas and sugar syrup cool to room temperature. Slice bananas lengthwise. Divide bananas into four bowls. Add jackfruit, shaved ice, and evaporated milk, and serve immediately. Great recipe and as always a wonderful story to be included. I grew up in the Philippines until I moved here in the US at age 12. I remember the games, patintero and tumbang preso. It was always a goal of everyone who had some evaporated milk can to save it for the games. As for patintero, it was more fun played in the evening with other neighborhood kids..lol! Our hide n seek games always involved hiding in abandoned houses or nieghbors yards with fences …ah the good old days when life was simpler. The food, the places and the games. You bring it back so vividly and clearly. I remember my patintero days! I would love a big bowl of saba con yelo right now! Hey, I noticed you skipped ‘X”! No matter. I just love this post- more new things from the homeland to learn- like games! I shall be teaching our kid Tumbang Preso for sure! The photo of saba con hielo looks so good and slurpy. Thanks for sharing! Jackfruit isn’t really a sweet fruit so I’m curious how it’s traditionally prepared for dishes like this and halo halo etc. Do you sprinkle with powdered sugar and let sit, or simmer in sugar syrup or some other method? Or just buy prepared in jar? This post brought back carefree and happy days. Ice saba / Saba con hielo will always be a favorite. Never had it with langka though. I should try that sometime. Ian, we sweeten jackfruit the same way we sweeten saba bananas — by simmering it in a simple brown sugar syrup. 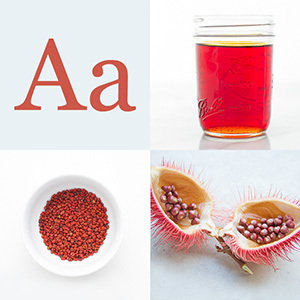 The same technique is used to sweeten red mung beans, kidney beans, and garbanzo beans that can all go in halo-halo. Melanio, yes — those were the days when life was simpler! Those were the days, right? Try it with sweetened jackfruit. Bananas and jackfruit go very well together.